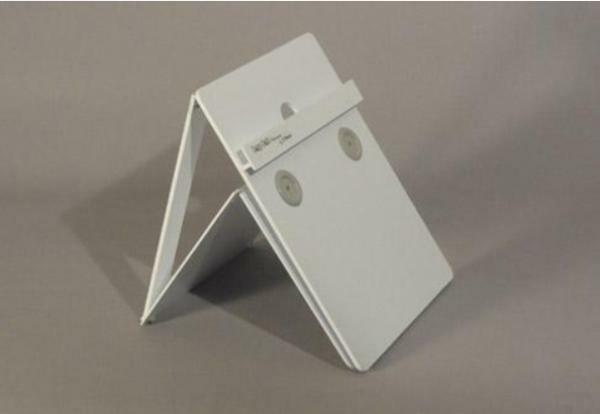 Technology meets simplicity with the Lap Tab trainer™ that works with your iPad*, iPhone*, tablet, or smartphone. No electricity required making it easy to practice or demonstrate lap skills anywhere! Developed in collaboration with Mr. Ali N. Bahsoun from Guy’s and St. Thomas’ Hospital, London, UK. 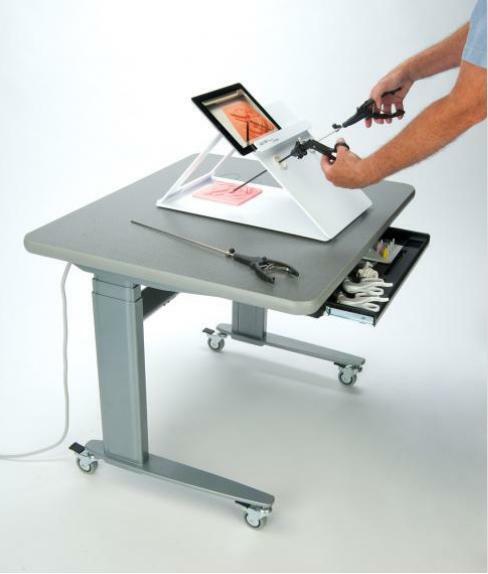 The Lap Tab trainer™ is ideal for residents to take home and practice. Being our most portable trainer yet, the Lap Tab trainer™, folds up and is small enough to fit into a backpack and is simple to set up. *iPad and iPhone are registered trademarks of Apple Inc. Camera : Tablet or phone must have a camera (not included). Ports : 2 laparoscopic ports with replaceable grommets. Grommets : 5 and 10mm interchangeable grommets. Pelvic Box : NEW fold-up design. Lights : Natural light illuminates because of open design. Monitor : Tablet or phone works as monitor. Can connect phone to large monitor or projector. Dimensions : L 15" X W 12" X H 2" (L 0 cm X W 0 cm X H 0 cm).